Investor redemptions in large hedge funds are certainly nothing new, especially in this crippling environment. The average hedge fund is down just over 20% on the year, and investors are pulling their money out in droves. Many hedge funds, seen as bullet-proof investment vehicles over the past decade, have seen their asset levels and reputations take a drubbing over the past 12-18 months. 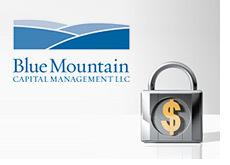 Blue Mountain Capital Management LLC is in a unique situation. The company has about $5.5 billion in total assets, of which $3.1 billion is in the Blue Mountain Credit Alternatives Fund. The fund, according to a recent letter to investors, is only down 2.4% on the year. This is a much better performance than the hedge fund industry managed as a whole so far in 2008. This begs the question - why are investors lining up to request redemptions if the fund has fared much better than the hedge fund industry and markets in general? According to the letter to investors, Blue Mountain said that many of the investors in the Blue Mountain Credit Alternatives Fund are "fund of funds" who are facing redemption notices themselves. Many hedge funds will not trade stocks, bonds and options themselves - rather, they will invest in other investment funds. For instance, an individual investor might not be able to invest in SAC Capital themselves as they don't have a minimum level of required assets to invest - yet, by investing in a "fund of funds", they are able to gain indirect access to SAC Capital because the "fund of funds" is much bigger and has the necessary contacts to secure an investment in SAC capital. So while the investors in the Blue Mountain Credit Alternatives Fund are not displeased with the performance of the fund, they are forced to ask for redemptions due to their own funds having assets pulled. In response to these redemption requests, Blue Mountain said that large-scale redemptions would be unfair to the remaining investors in the fund, causing "severe liquidity costs." b) Lock up your investment for a period of time with "fees consistent with longer lock-up periods." It will be interesting to hear how many of the investors requesting redemptions bite the bullet and pay the "cost" to withdraw early, and what that "cost" ends up being. As I said, it won't be cheap, that's for sure. Just another interesting situation in the constantly-changing (and crumbling) hedge fund world.